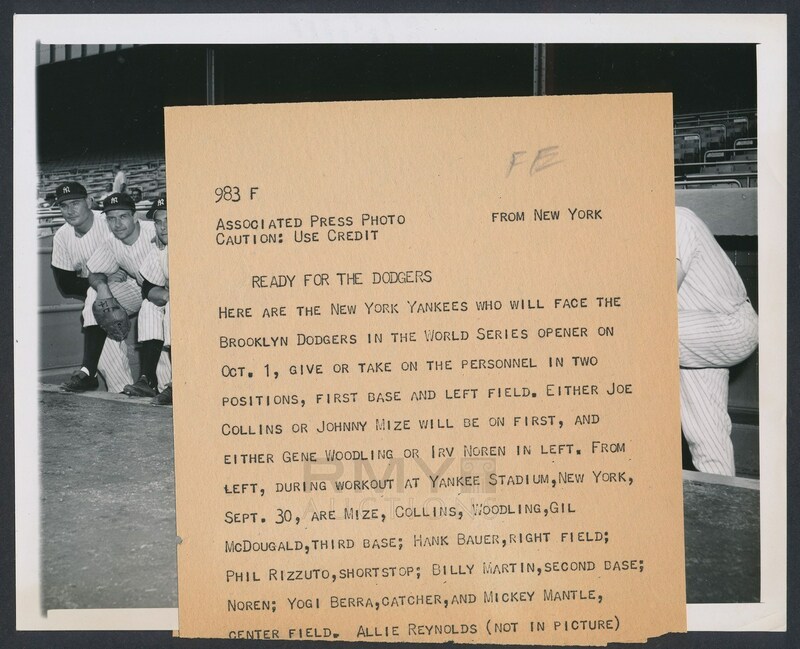 1952 Photograph of the nine starters and an extra pitcher from the New York Yankees as they headed into the World Series against the Brooklyn Dodgers. 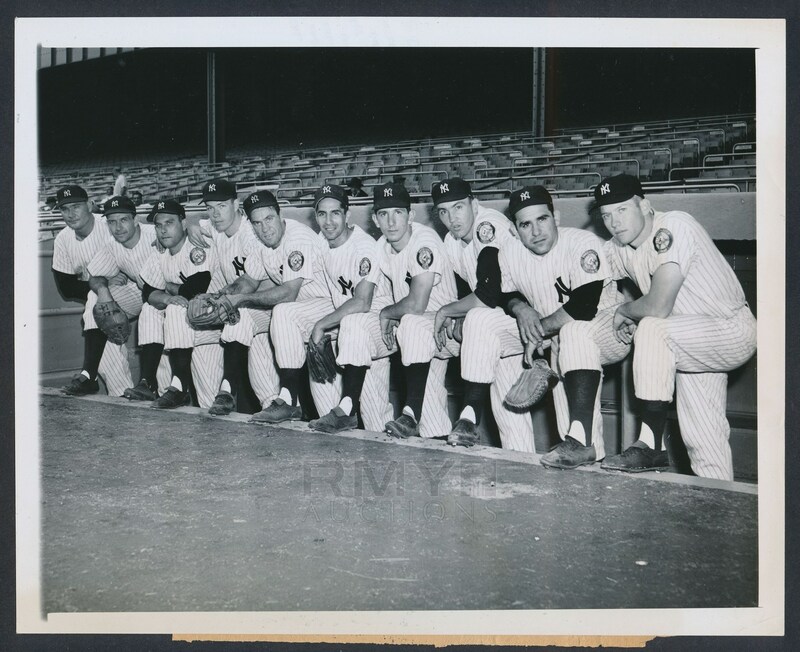 Led by young Mickey Mantle (prominently pictured at the far right), this is a crystal clear original in beautiful condition. One of the better "52 Mantle's" we have ever offered. 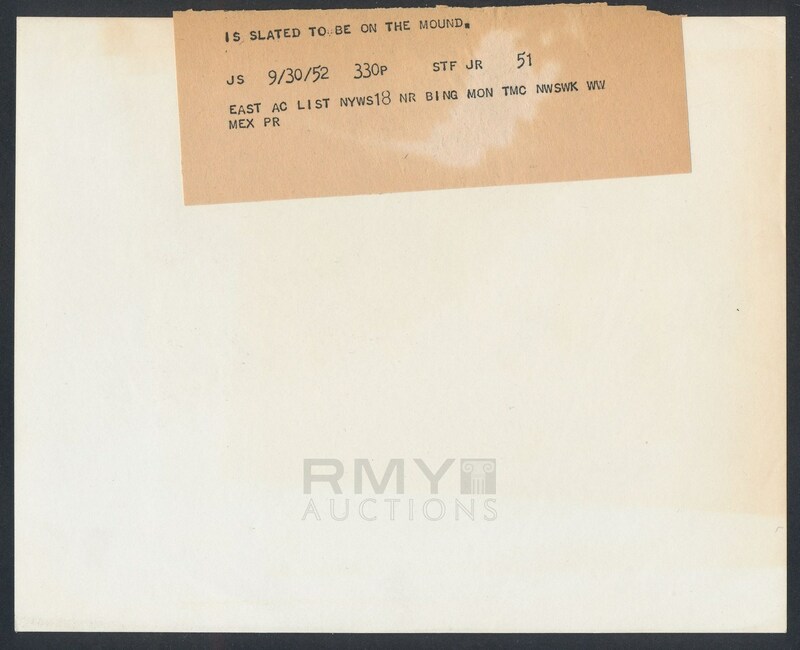 Condition and quality are both outstanding with the paper caption detached but still present.